Japan’s cryptocurrency exchange scene is set for another shakeup – while a major bank will commercialize its stablecoin before the year is out. Zaif is ranked 115th by the 24-hour trading volume (USD 12 million), while Fisco is 278th (USD 6.6 million), according to market data provider coinpaprika.com. Both exchanges have their own native tokens that are up by 11% and 5% in a month respectively. Fisco last year successfully completed a takeover of Zaif after the latter suffered a crippling hack in September last year, with attackers making off with some USD 63 million worth of Bitcoin, Monacoin and Bitcoin Cash. Zaif has recently resumed a number of services after the hack, but is yet to allow new customers to open accounts – while certain other operations also remain suspended. However, Fisco now wants to consolidate its operations under a single umbrella, and Japanese media outlets iForex and Crypto Watch report that a merger is now in the pipelines this year – although no exact date has yet been set. Elsewhere in the Japanese exchange world, Moneyzine reports that another FSA-licensed exchange, Liquid by Quoine, has recently raised USD 20 million in funding, taking its total valuation to USD 1 billion. 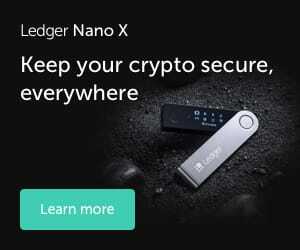 Liquid’s backers include the likes of SBI Group, one of the country’s largest financial groups, and itself the operator of an FSA-licensed trading platform, SBI Virtual Currencies. The latest round of funding was led by IDG Capital, which has also backed a range of crypto-ventures around Asia and beyond. IDG has previously invested heavily in the blockchain arm of South Korean internet giant Kakao Group, as well as Coinbase, Ripple and Bitmain. The company has been conducting extensive trials on its MUFG Coin, issuing the token to its employees, and operating an unmanned convenience store at its headquarters, which accepts MUFG Coin payment via a smartphone app. MUFG says the token will be pegged 1:1 with the yen, and will be accepted at restaurants, convenience stores and shops around the country – or used as a means of transferring funds between MUFG customers. A number of major Japanese financial companies have unveiled similar stablecoin projects, including Mizuho (which is working with China’s Alipay on its token), and the First Bank of Toyama.